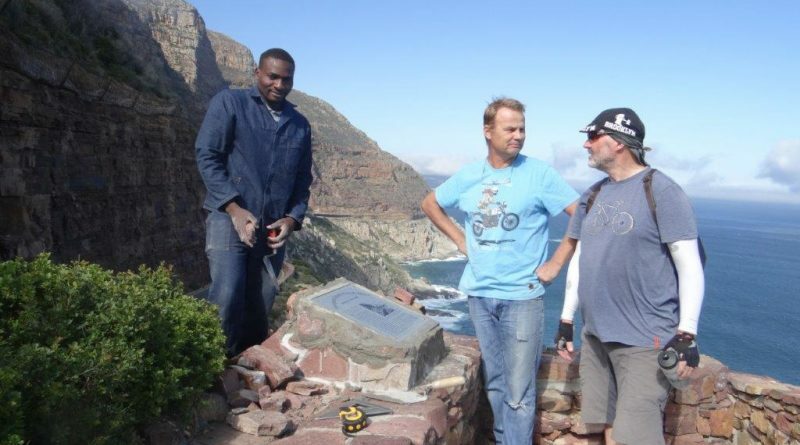 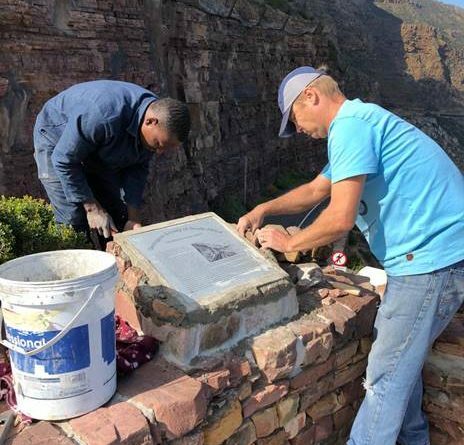 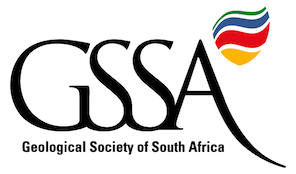 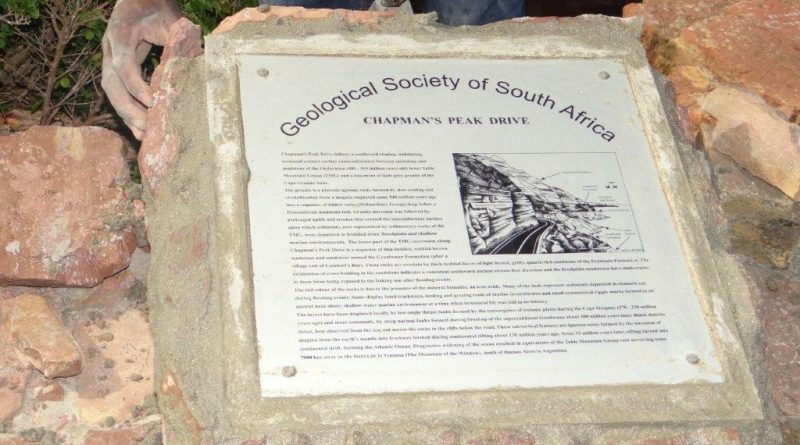 The Geoheritage team of the Western Cape Branch of the GSSA has erected a new geological plaque at the view site on the world famous Chapmans Peak Drive, between Hout Bay and Noordhoek. 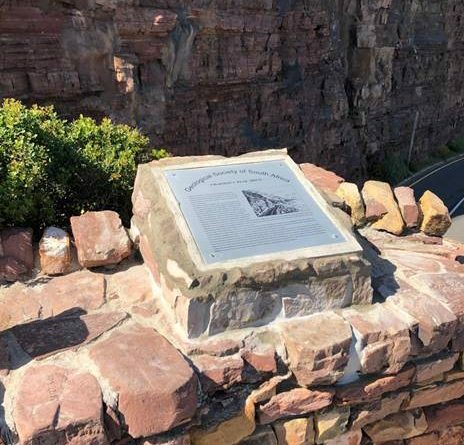 This site is a very popular tourist stop with some spectacular geology. 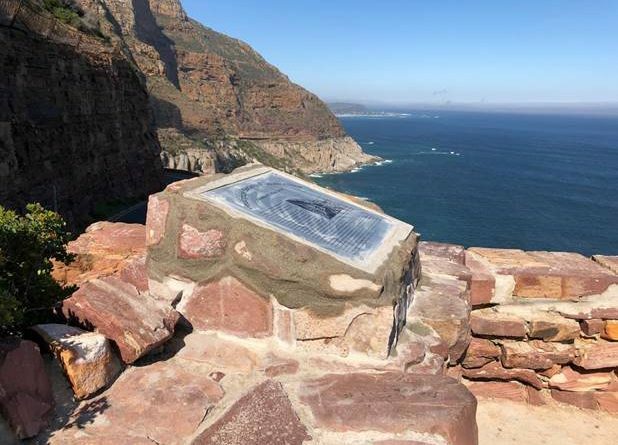 The Graafwater Formation at the base of the Cape Super Group unconformably overlies the Cape Granite.